Mr 'Bands A Make Her Dance' himself keeps it all the way real in this new video to 'Show Out' featuring G.O.O.D. 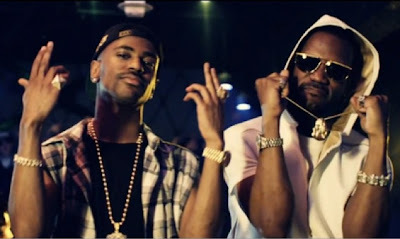 Music's very own - Big Sean and Atlanta heavyweight - Young Jeezy. Juicy J will release his debut solo album this coming Summer and the album will feature collaborations from Wiz Khalifa, Lil Wayne, Trey Songz, Chris Brown, The Weeknd, Big Sean, and Young Jeezy; the album will be executive produced by Wiz Khalifa and Dr. Luke.